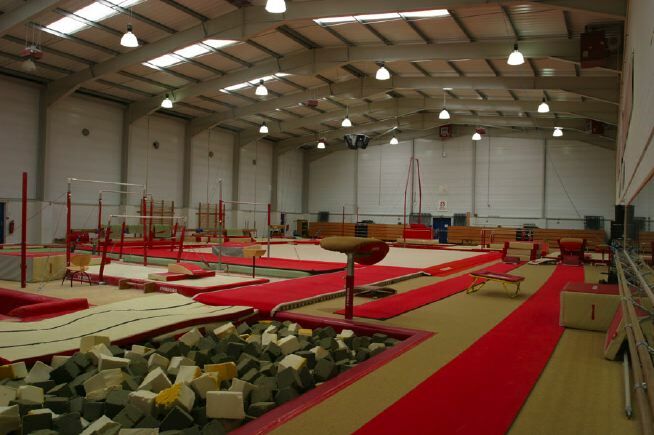 For the past few weekends Maria and I have been going to an adults Gymnastics Class at East London Gymnastics Centre. (By 'adults class' I don't mean some 50 Shades of Grey meets Cirque Du Soleil (although that would be interesting), I mean an adults only class!). I have been CrossFitting for almost 6 years now and my gymnastics (within CrossFit) is pretty solid. I can do 11+ unbroken strict muscle-ups, forward rolls to ring supports and toes to bar for days. However, when stepping into a specialised gymnastics class I am a mere novice. Imagine my angst on being reminded that a muscle-up, one of CrossFit's king of movements, is not even a 'thing' in gymnastics, it's merely a way that a gymnast gets up on top the rings. It's akin to setting up your barbell with some bumper plates and clips and being proud of your achievement. I was quickly humbled by my lack of mobility (yes, me, immobile!) and my Bambi-like ability to perform some very basic jumping, landing and tumbling drills. Added to this, we were seeing some people less conditioned than ourselves performing some impressive aerial acrobatics. It was wonderfully refreshing and eye opening! So is this lack of speciality a problem within CrossFit? No, not really. CrossFit has always held the notion that it 'specialises in not specialising' – it does not aim to create high level gymnastics, weightlifters or distance runners, but to create a broad, all-round level of general fitness that helps you life live better, and it achieves this, without a doubt! I consider myself to be somewhere in the 'Advanced' category when it comes to CrossFit, but I am by no means an elite level CrossFit Games (or even Regionals level) CrossFit athlete. However, I have a sound knowledge, understanding and application of the movements and training methods and my training results/numbers are generally pretty solid. So it has been a while since I have ever felt or thought like a beginner. The mindset of a beginner is a scary place to be. You question your abilities, you feel foolish around others and you wonder whether you have bitten off more than you can chew. Knowledge bombs: Learning is fun! Sucking at something at the beginning means you will only get better at it. Having something new to focus my attention on was a refreshing feeling and I was already thinking of ways to apply bits and pieces into my own training and the training of others. Community: The other participants in the class were all really friendly and only too happy to give tips and advice on what I was doing wrong. I even had one gent who was not even in the class (but doing his own thing) come over and give me some pointers. All that beginner chat being said, my background in CrossFit and years of learning functional movements set me in good stead to pick things up quickly. Complete beginners (as in new to training) tend to need several stimuli to learn a movement – visual, verbal, tactile – as well as a lot of time and repetitions. Those of us who have been training for a number of years have a well-versed understanding of our bodies and movement patterns and we can generally pick things up much faster. As such I was able to improve quickly just from watching the coach perform the correct movement or having him tell me what I needed to change. By the end of the first class I was mere moments from performing my first front flip before class ended when Maria scooped up my crash pad and put it away. I'll get it next time! I must admit, in the opening portion of the class I was wondering what the hell CrossFit had done to prepare me for this 'real' gymnastics, as I bumbled around the gym floor like a newborn giraffe on roller skates, with one wheel missing. As the class went on, it soon became clear that a lot of the principles we teach you guys everyday are the same principles held in gymnastics, such as shoulder positions when overhead and creating stability, midline stabilisation, jumping and landing mechanics... I could go on and on... That's not to mention the strength that was needed to perform some movements. I made a point of telling Maria that our Coach had even called me 'a natural gymnast', but then she outdid me when Coach said he wanted Maria's guns and abs.....Yeah, me too. Much of what we picked up from our first few classes is already swimming around our heads and how we can apply it to coaching you guys, from coaching cues to skill drills and mobility. This is something we (and CrossFit value) greatly, we should all be prepared to 'regularly learn and play new sports'. This broad, general fitness is something we can use to apply to many areas of health, fitness and our daily lives. To just keep yourselves to CrossFit is depriving you of endless fun-filled experiences getting to grips with different sports and styles of training. This is one reason we have our 'Learn and play new sports days', with our next one being a Strongman Day at the on 12th April.